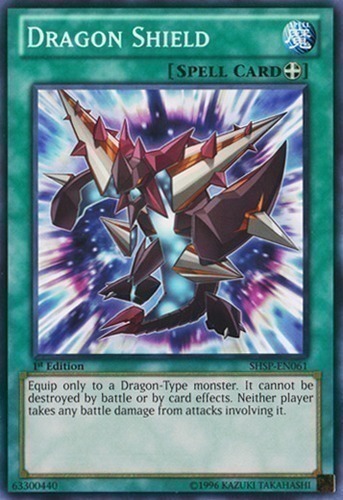 Equip only to a Dragon-Type monster. It cannot be destroyed by battle or by card effects. Neither player takes any battle damage from attacks involving it.